Luna is the best, and cutest, princess! 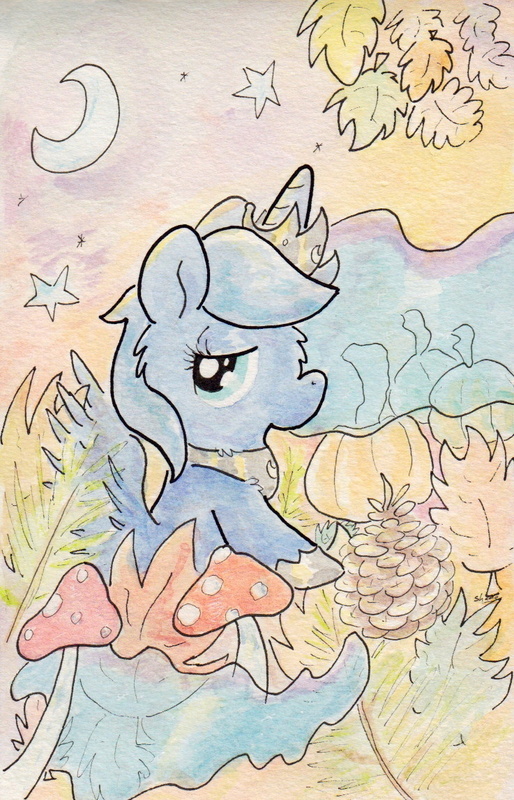 Luna's a very fancy pony! Careful with all that candy! But do have fun, and remember to save some for Luna! *sings* Call her moonchild, dancing in the shallows of a river. Lovely moonchild, dreaming in the shadow of the willow. Talking to the trees of the cobweb strange. Sleeping on the steps of a fountain. Waving silver wands to the night-birds song. Ah, King Crimson in my head this early in the day. I wonder what this'll promise. :D Thanks! Nightmare of pretty fall flora! I hope all my nightmares include such a wondrous night mare!